PARLIAMENT – The former executive director for commercial banks supervision at Bank of Uganda (BoU), Ms Justine Bagyenda, forced Crane Bank to take over the assets of National Bank of Commerce (NBC), Parliament has heard. 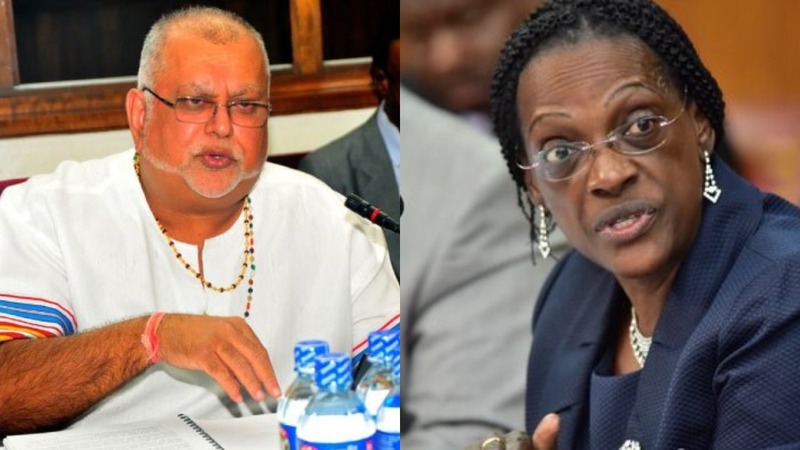 Appearing before the Committee on Commissions, Statutory Authorities and State Enterprises (Cosase) on Wednesday, the former owner of the defunct Crane Bank, Mr Sudhir Ruparelia, revealed that when NBC was being liquidated, Ms Bagyenda ordered former Crane Bank Managing Director A.R Kalan and to take over the assets of NBC. “Crane Bank was not interested in acquiring the assets of NBC. Crane Bank did not bid to acquire these assets. Crane Bank was compelled by acquiring these assets by Ms Bagyenda. She did this on telephone. She called the Crane Bank MD and informed us that she was directing Crane Bank to acquire these assets. She was not asking. It was an order from the authorities, ” Mr Ruparelia said, adding that Crane Bank paid Shs 1.2b to buy deposits, treasury bills and non-performing loans from NBC. Despite being forced to buy these properties, the businessman told MPs that Bank of Uganda refused to transfer NBC land in Kabale to Crane Bank, as well as NBC’s bad book and assets on the escrow account. Crane Bank shareholders also said they have never bought foreign exchange at a discounted price, contrary to the report by the Auditor General that shows that performing loans were transferred from at Shs 208m representing 70% of the book value. Former NBC shareholders on Monday told the Committee that Ms Bagyenda closed their bank even after they had raised the Shs7b the central bank had set as the requirement for capitalisation. Mr Mathew Rukikaire, the Chairman of the NBC Board of Directors and former Prime Minister Amama Mbabazi who have both testified that Ms Bagyenda acted illegally when she moved to close their bank in September 2012.